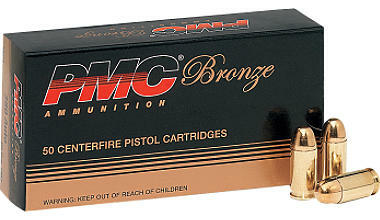 PMC Bronze Line ammo passes rigorous inspection, ensuring outstanding uniformity and reliability. 90-gr. 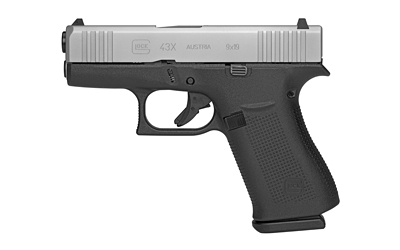 FMJ provides smooth, reliable feeding in semiautomatic handguns. Excellent range ammo for your 380 acp pistol. Very good ammo at a reasonable price. You can't afford not to have any in your inventory. Packaged 50 rounds per box 90 grain full metal jacket ammunition.PMC cartridges must pass through the rigorous inspection of our electronic powder check station. This station accurately measures the propellant charge in each round. If the propellant in any cartridge varies by a tiny amount - just two tenths of one grain - the system stops and that cartridge is discarded. 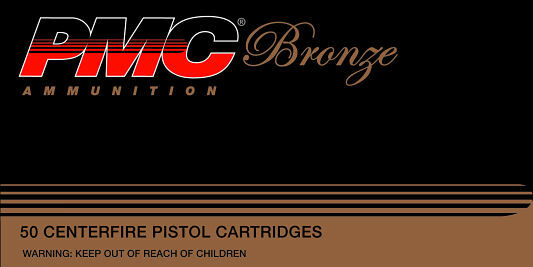 No other ammunition manufacturer can truthfully assure you greater uniformity and reliability than PMC!